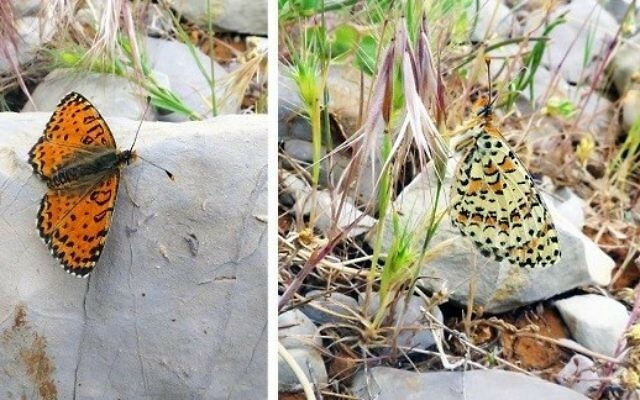 For the first time in 109 years, researchers have discovered a new species of butterfly in Israel and neighboring Syria and Lebanon. The species, identified as Acentria’s fritillary (Melitaea acentria), was discovered by a team of researchers from the Zoological Institute in St. Petersburg, Russia. The butterflies were seen over the slopes at the Hermon ski resort in northern Israel and researchers said they believe the butterflies were likely mistakenly thought to belong to an already known species, according to a press release published on Eurekalert, which posts on scientific news and developments. “Thousands of people had observed and many had even photographed this beautifully colored butterfly, yet no one recognized it as a separate species,” said Vladimir Lukhtanov, entomologist and evolutionary biologist at the Zoological Institute, according to the release. 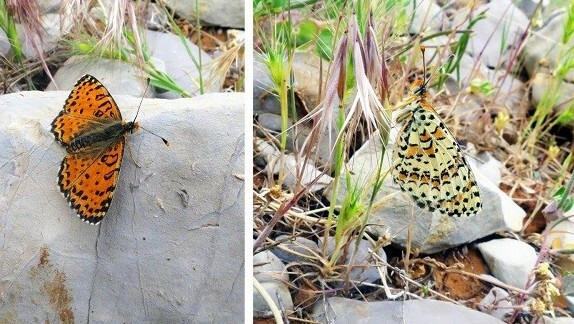 “The lepidopterists (experts in butterflies and moths) had been sure that the Hermon samples belonged to the common species called Persian fritillary (Melitaea persea), because of their similar appearance, but nobody made the effort to study their internal anatomy and DNA,” said Lukhtanov, the lead investigator of the study. The main difference, according to the study, is the genitalia of the species which is different from typical Persian fritillary, with its DNA possessing a unique molecular signature. The researchers believe these butterflies can only be found in northern Israel, Lebanon and Syria. The discovery of the Acentria’s fritillary was the first finding of a new butterfly species in Israel in 109 years, according to the study.